IGRA and JewishGen announce strategic partnership It’s almost time for the annual IGRA Heshvan Event! IGRA is pleased to announce that it is expanding its activities in the Gush Dan area, with a series of lectures to be held at the Beit Shazar Library, 30 Yavne’eli Street, Givatayim. The inaugural lecture, Lost Identity and Other Research Stories will be presented in Hebrew on 5 September, 2018/25 Elul 5778 at 19:30 by Attorney Rony Golan. In his lecture, Attorney Golan will discuss the discovery of the identity and family of an orphaned Holocaust survivor child and other exciting and emotional research stories that illustrate various aspects of genealogical research. Attorney Rony Golan is a professional genealogist who has been involved in genealogy for more than 30 years and is a lecturer in the Hebrew University Law Faculty, serving as legal advisor to the International Institute of Jewish Genealogy and the Paul Jacobi Center. Beit Shazar is easily reached by public transportation from most parts of Gush Dan (buses 43, 55, 56, 57, 58, 64, 104, 168, 278, 472, 473, 477, to Aluf Sade/Korazin and a 10 minute walk from 33, 34, 39, and 63 to Haro’eh/Derech Rabin). 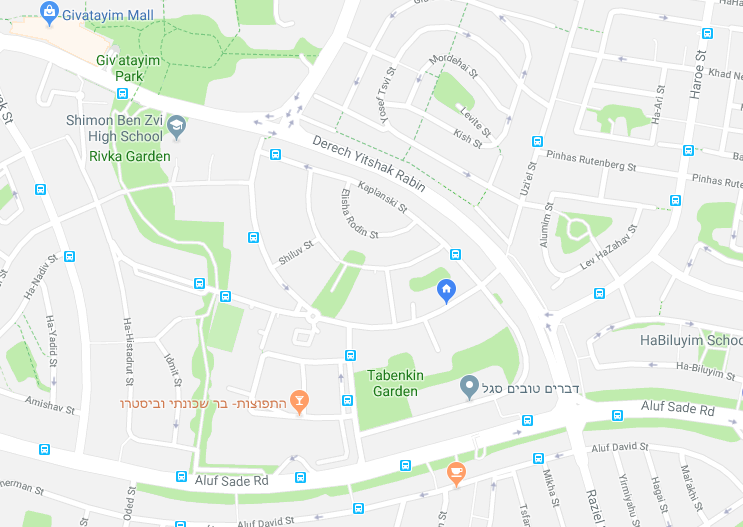 For those driving, there is a parking lot (free from 5 PM) on Korazin Street, opposite Beit Wolyn. Street parking is mostly restricted to local residents. Yavne’eli Street is one block parallel to and behind the shops on Herzog Street. This lecture is free to all. 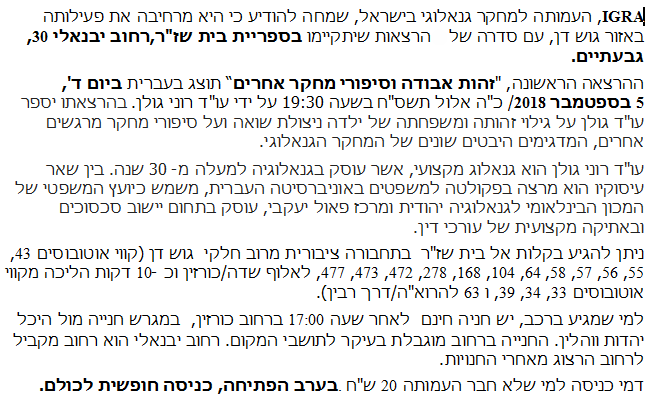 Future lectures: Entrance fee NIS 20. IGRA members enter for free.